Adrienne Vittadini is well known for her clothing, handbags, swimsuits, shoes, jewelry, and perfumes. Her designs are worn by celebrities such as Kim Basinger and Candice Bergen, and broadcaster Joan Lunden. And now, you too can own a Vittadini and impress with the brand's unqestionable elegance and European style. 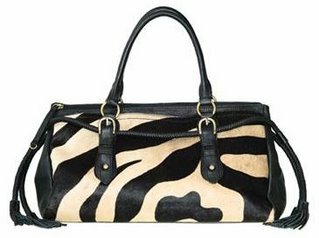 In its Christmas Gift Giveaway competition, today Handbag.com is giving you the chance to win this gorgeous Adrienne Vittadini designer handbag valued at £175.